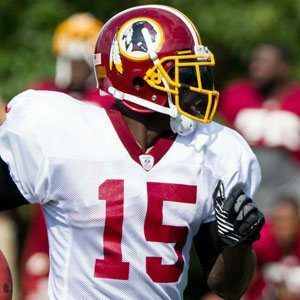 NFL wide receiver most famous for his days with the San Francisco 49ers and Washington Redskins. He was originally drafted by the 49ers out of Virginia Tech in 2008. He grew up a Redskins fan in Washington, D.C. and attended Howard D. Woodson High School. He set a Virginia Tech bowl game record with 126 receiving yards versus Auburn in the 2005 Sugar Bowl. His parents are LaWanda Ware and Dennis Morgan. He was teammates with quarterback Marcus Vick at Virginia Tech.